This was a big-scale urban space development for Dreamscapes. 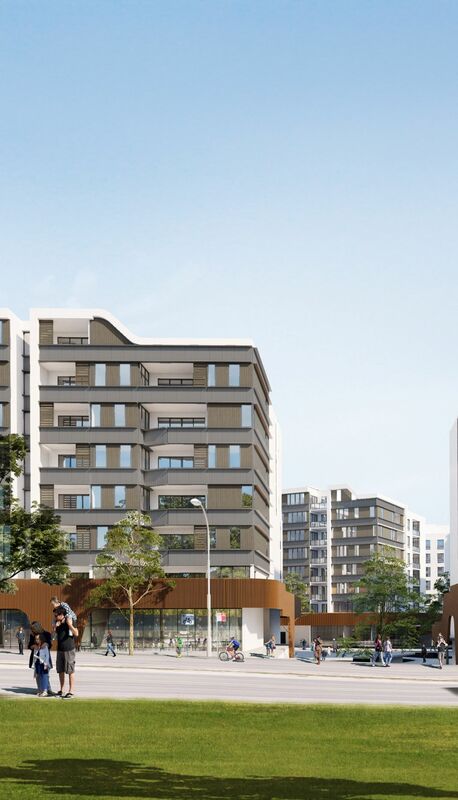 The substantially large development of Bringelly Road, Leppington spans two hectares and will consist of 550 units with six blocks of 8-story buildings. Leppington is emerging as the new suburban area, south-west of Sydney due to its proximity to Liverpool town centre and the new international airport, which is currently under construction. When the client came to us, they had planning control for the 8-storey buildings but no ideas of what to build. Their first thought was purely residential but after seeing our designs, they realised that the site was prime space for more. Being a hub for commuters, we recommended a design that included multi-use buildings that would house commercial, office and retail at ground level with residential occupying the upper six storeys. These buildings would form a retail hub for the area, which would benefit both residents and businesses, and draw people into the area. With a pedestrian link through the site, it made sense to build an internal courtyard that followed the shape of the development. This would provide the perfect central point where cafes and restaurants would convene. Social areas are an important aspect of the site, but the design needed to consider the noise levels and potential disruption to residents living above the commercial outlets. We therefore conceived a physical barrier that not only minimised noise from the street but also created a visually interesting aesthetic to the buildings, which could be seen from a distance. Where the road enters the site from Liverpool Street, we will use the façades of the buildings to make a gateway. 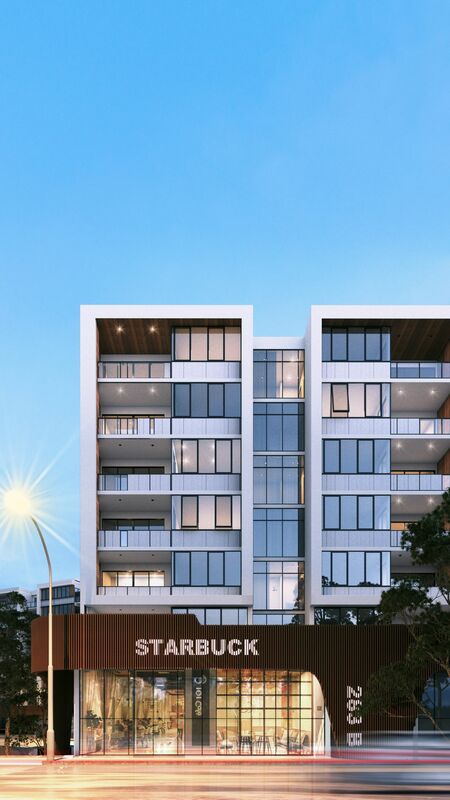 By lifting the corners with timber slats made from composite wood panels, we will establish a feeling of connection between each block with warmth and natural tones. By combining this with ample glazing for natural light throughout the site, the development will flow effortlessly between the architecture. The buildings themselves will be littered with gardens at rooftop level for residents and pockets of parkland and green space at ground level for communal use. Since submitting our designs, our clients are now proposing further rezoning and the potential for an increase in building height to 14 levels. We will be revisiting our drawings to accommodate the additional residential space should the new airport allow it. Landscaping will also feature more heavily in future plans alongside the provision of 650 parking spaces, which will be built underground to maximise on space. The excavation will allow us to create water features and deep soil areas for large trees at ground level, which will provide a more comfortable climate for residents in the hot south west temperatures.